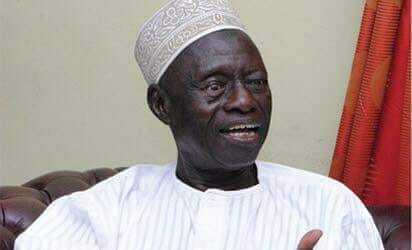 Former MD of New Nign Newspaper, ex-CBN Gov, ex-Minister & MADAKIN FIKA, Mal Adamu CIROMA is dead. Late CIROMA died this afternoon at the TURKISH Hospital in Abuja after protracted illness. CIROMA has dedicated the greater part of his life to Islam and has been a silent philanthropist. Burial arrangement will be announced in due course. May ALLAH forgive him, grant him mercy & Aljanna Firdausi and also give his family, his friends and the Nation the fortitude to bear the irreparable lost.